Now that you have braces, it is more important than ever to maintain good oral hygiene during your treatment, as Dr. Robert Peterson will tell you. While we trust you will continue brushing and flossing on a regular basis throughout your treatment at Peterson Orthodontics, you also have to mindful of what you eat. 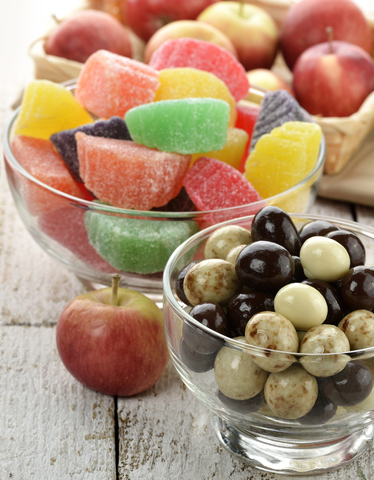 While all those sweet, sour, and sticky candies may taste great, these treats can actually damage your teeth and braces! Besides cavities and tooth decay, many people do not realize that good oral health and hygiene are important to your overall health, too; researchers have discovered the connection between periodontal disease and other major health concerns, such as heart disease. Therefore, it is important to maintain a good oral hygiene routine just as you did before your braces. This includes visiting your dentist here in Park Ridge, IL every six months, brushing and flossing daily, and using an antibacterial mouthwash, as well as visiting Dr. Robert Peterson for your regular adjustment appointments.